To celebrate the 150th anniversary of the iconic Alice in Wonderland, Ripley’s Believe It or Not! London is opening a pop up gallery this summer dedicated to the popular Lewis Carroll story. Inspired by Alice’s adventures, the gallery features a giant chess set and tea cup as well as an incredible Ames room which gives the illusion you are either a giant or very small, just like Alice is in the film. After navigating your way around the gallery, you can continue your journey throughout the attraction with more Alice in Wonderland themed delights including an upside down room, the miniatures gallery and Marvellous MirrorMaze. 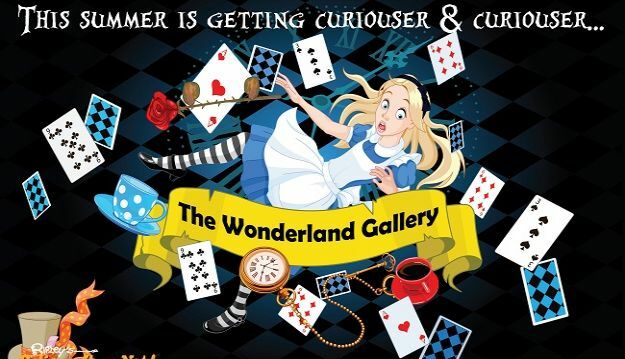 The Alice in Wonderland gallery at Ripley’s London will be open from the beginning of the UK summer holidays, which means there is plenty of time for the whole family to join in with Alice’s adventures before heading back to school in September. Ripley’s Believe It or Not! London is open seven days a week, 365 days a year from 10am until midnight (last admission 10.30pm). Tickets to this world of wonders situated in the heart of London’s West End are £26.95 per adult and £19.95 per child. Family tickets are £79.95 based on two adults and two children. Purchase your tickets online in advance and save 15%.